Employee of any organization granted annually an average of 28 calendar days of paid vacation. How to plan a vacation? How can you use it? Is it possible to transfer the holiday to another date? Is it possible instead of leave to monetary compensation? Discuss these and other questions, building on Chapter 19 of the Labour code of the Russian Federation. The design of the home is perhaps one of the most enjoyable reasons for treatment of the employee in the personnel Department. Typically the vacation planning for next year starts in November – early December this year, when the organisation forms a vacation schedule. This document must be approved by the order signed by management and all employees not later than two weeks before the beginning of the calendar year. Accordingly, until that time, the division managers agree on the dates of vacation of each employee. Typically the vacation planning is a mutual process, the employee and the employer try to find a compromise. Moreover, the employer takes into account many factors: seasonal spikes in the volume of work, number of employees in the Department, specificity etc. for Example, if one Department's two specialists share the same functionality and in addition to them with the specifics of nobody familiar, but at the same time they will not be able to go on vacation – them simply there will be nobody to replace. The same situation at the head and his Deputy - they will never be able to take vacation at the same time. Employees often want to coincide with annual leave for public holidays. The question is, are any holidays off? We are happy to announce public holidays in the number of vacation days are not included, so if you are planning a holiday on which holidays fall (1 to 8 Jan, 23 Feb, 8 Mar, 1 may, 9 may, 12 Jun, 4 Nov), you simply don't count them, that is, the vacation is extended for the number of public holidays. Recommend when planning annual leave to carefully examine the production calendar for the next year, which is annually approved by the government – it notes and holidays, and weekends. The leave may be divided by agreement between the employee and employer, but one of the parts of the holiday must be not less than 14 calendar days. That is the basis of company policy, the leave may be scheduled as 28 days, and crushed to pieces, but one piece should be 14 or more days. It is customary to make the number of vacation days multiple of 7, i.e. 7, 14, 21, 28. If a particular company is request from the employee about how to divide vacation into smaller pieces, it is individually determined through a personnel policy of the company, based on the Labour code. Please note that for separating the stay at the desire of the employee not enough – the necessary agreement between the employee and the employer about what part will be to share the holiday and what dates to use. The vacation schedule is a binding document both for the employer and for the employee. How to observe the vacation schedule? The personnel Department of any large company works daily with this document. No later than two weeks, the recruitment officer shall inform the employee that he has scheduled a vacation and offers to write an application for annual vacation, to obtain confirmation of the head and provide to HR for processing leave. 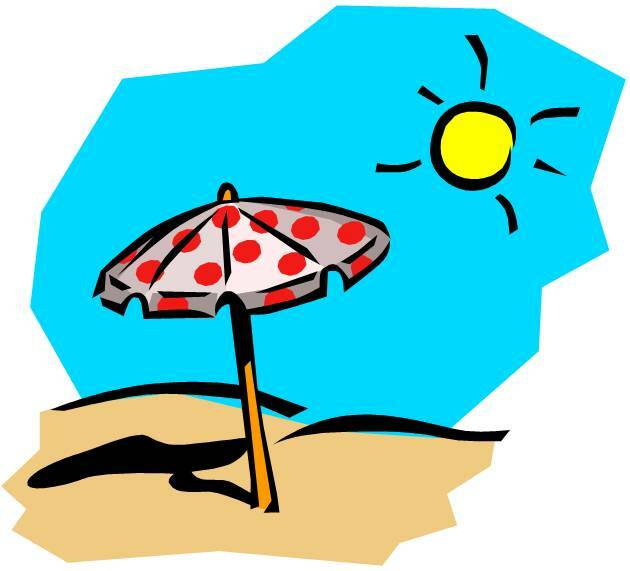 However, in some organizations, the vacation is made without personal application, but only on the basis of vacation scheduleform – the Labour code is prohibited. In case the vacation will be carried over to another date, the required statement on transfer of leave and confirmation leader. Moreover, the leave may be extended or rescheduled for another time determined by the employer taking into account wishes of the worker. Please note that in this case the decision is not an employee and supervisor, given the different production factors. Dear workers, if you timely (no later than 2 weeks) warned on vacation, or not promptly paid (not later than 3 days), you have the right to refuse vacation in these dates - the employer will be required to reschedule your vacation and to agree on a convenient date. If an employee, while on annual leave, sick, on the basis of sick leave he can either extend your vacation, the appropriate number of days or move the vacation days to another date, again in agreement with the employer. But, if the employee is on vacation, call to work only with his written consent – and in this case the rest of vacation he can use at his discretion. We add that it is not allowed to recall from vacation pregnant women, persons under 18 years of age and workers employed in jobs with harmful and /or dangerous working conditions. Sometimes it happens that the amount of work does not allow to use all the annual leave days. Is it possible to replace the leave with cash compensation? Unfortunately, no. Only part of the leave exceeding 28 calendar days (for example, if an employee has extra vacation days due to irregular working hours, due to harmful factors, disability or for any other reason) may be replaced by compensation. What to do if an employee leaves, not using all the time? In this case there are two choices: either the employee receives monetary compensation of unused vacation at dismissal, or be issued an annual vacation with the subsequent dismissal, where the last day of vacation is considered the day of dismissal. The theme of annual leave extensive and multifaceted. If you have not received a response to your question, pay attention to Chapter 19 of the Labour code. Let your holidays are wonderful!